So what is Nail Stamping? Nail Stamping is a new DIY way to create fun designs on your nails right in your own home. The process is EASY and anyone can do it which in turn will save you lots of money from having to have your nails professionally done. 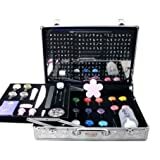 Nail Stamp Kits include an Image Plate that has several images you can use on your nails. There are thousands of image plates available with every image you can imagine - including Letters and Numbers. Also included is a Stamper for transferring the image to your nails and a Scraper which is used to remove excess Nail Polish before transferring the design onto the stamper. Some kits will come with Nail Polish, but you can use pretty much any Nail Polish you have on hand. 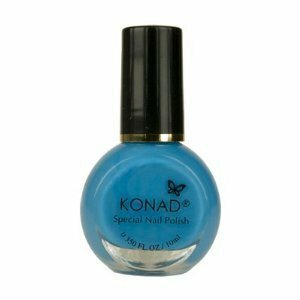 There is nail polish out there that is made specifically for Nail Stamping such as Konad's Special Polish. The Special Polish is just a bit thicker which is said to work better for the stamping process. 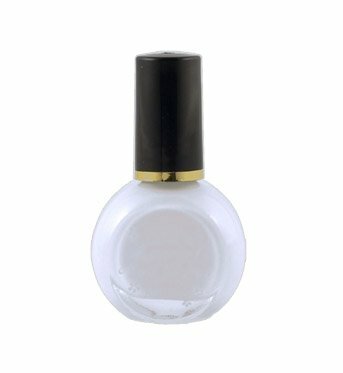 If you have some older polishes that have thickened up a bit don't throw them away because they will be great for Nail Stamping !! Nail Stamping simply takes the design from the plate, picks it up and allows you to stamp it right onto your nails. That is it in a nut shell. The end result gives you nails that look as though you had them professionally done - best part is you did them yourself and saved lots of money !!! That is it !!! Anyone can do this !!! Have you heard of Nail Stamping? To the left is a photo after I used the Nail Stamps for the 1st time. I do not think they came out too bad, but I will definitely get better as I use them more. I chose a Deep Purple Nail Polish (purple is my favorite color) and did a simple flower stamp on each nail using a White Polish. I moved the Flower Stamp around and offset some because I did not want them all matchy matchy. They I added a nice sparkle using a Purple and Turquoise Sparkle Nail Polish I had - then just topped that with my Clear Top Coat and I was good to go. I will post more pics when I do more with this. It was fun and easy. Nail Stamping take 2: I tried it again for the second time and I got a little bit better at it. The second time I used a Hot Pink Polish and I also used the Konad Nail Stamping Art Polish in white to see if there was a difference. YES there was a big difference - the Konad nail polish was much thicker and my nail stamp design showed up a lot better. Bet my third time will be perfect !!! Nail Stamping talk right here !! I love stamping as far as making greeting cards...I love nail art...THIS is a marriage made in heaven! Thanks for sharing! My Amazon wish list is growing by the minute.